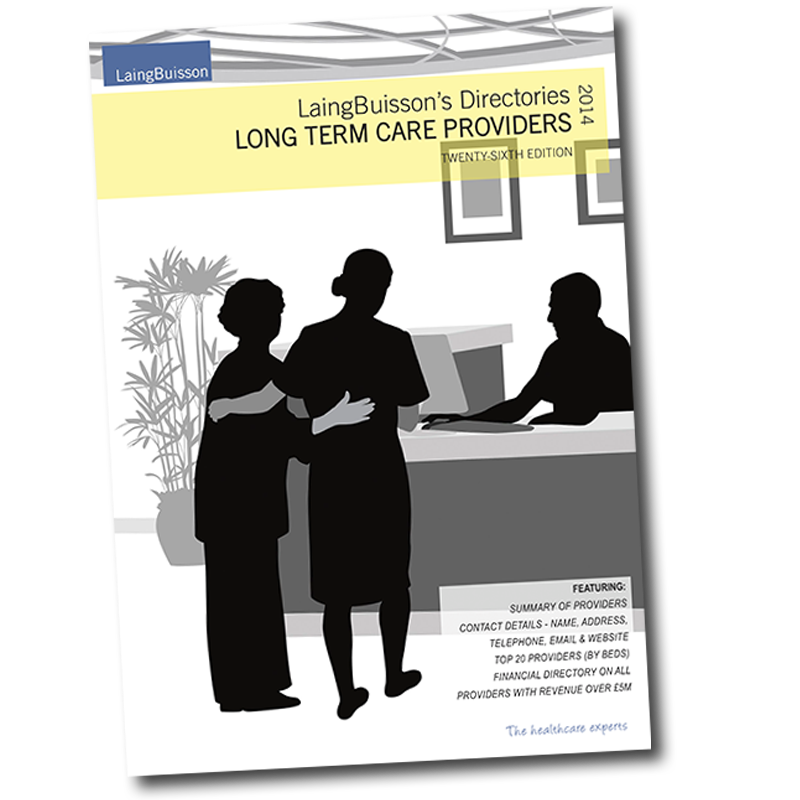 LaingBuisson’s exclusive calculator tool for residential care provision. Ninth edition. 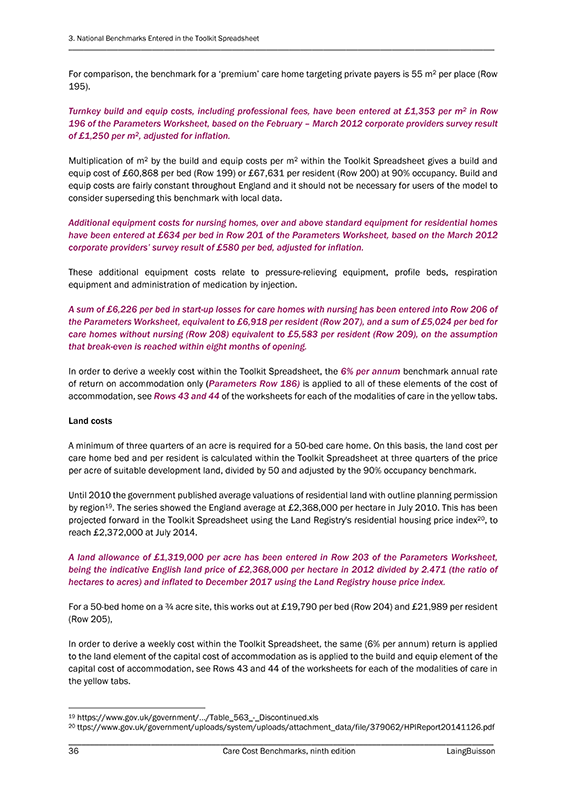 Published 22 March 2018. 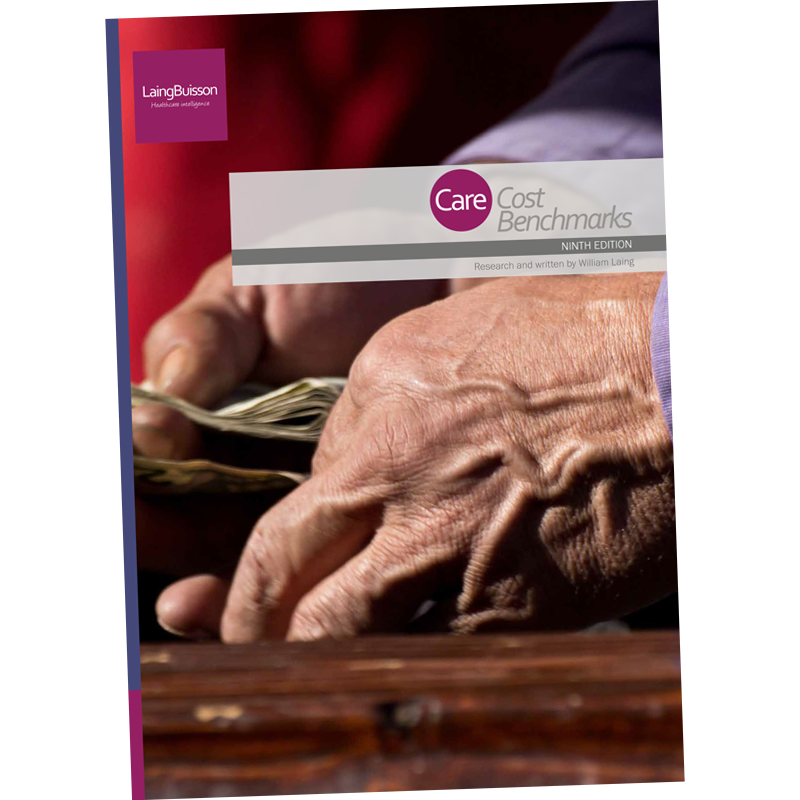 First developed by LaingBuisson in 2002 jointly with the Joseph Rowntree Foundation and updated for 2017, this toolkit offers powerful, consistent and evidence-based means of calculating reasonable operating costs within efficient facilities. 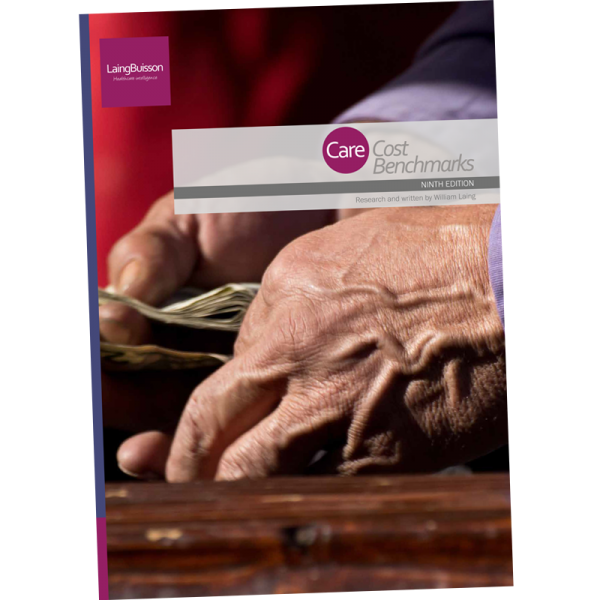 The Care Cost Benchmarks toolkit offers a transparent and evidence-based mechanism for working out what fees should be, based on the costs borne by care homes. 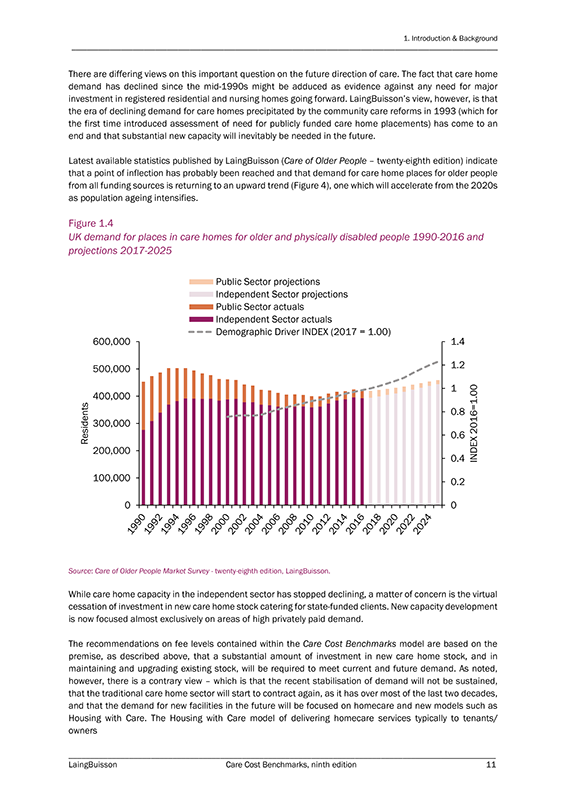 LaingBuisson believes that the demands resulting from an ageing population mean that more care homes will be needed in the future. 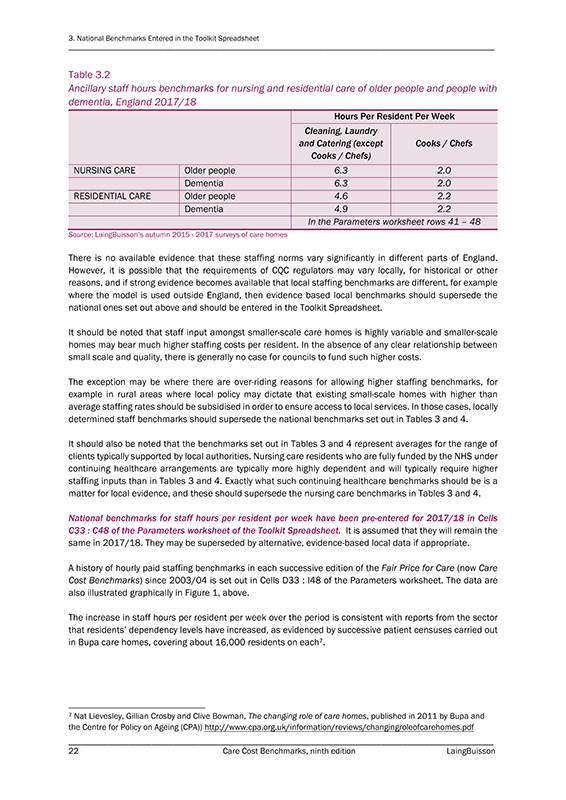 However, most public sector funding agencies do not currently offer fees that are sufficient to encourage care home operators to invest in new capacity for state-funded clients. 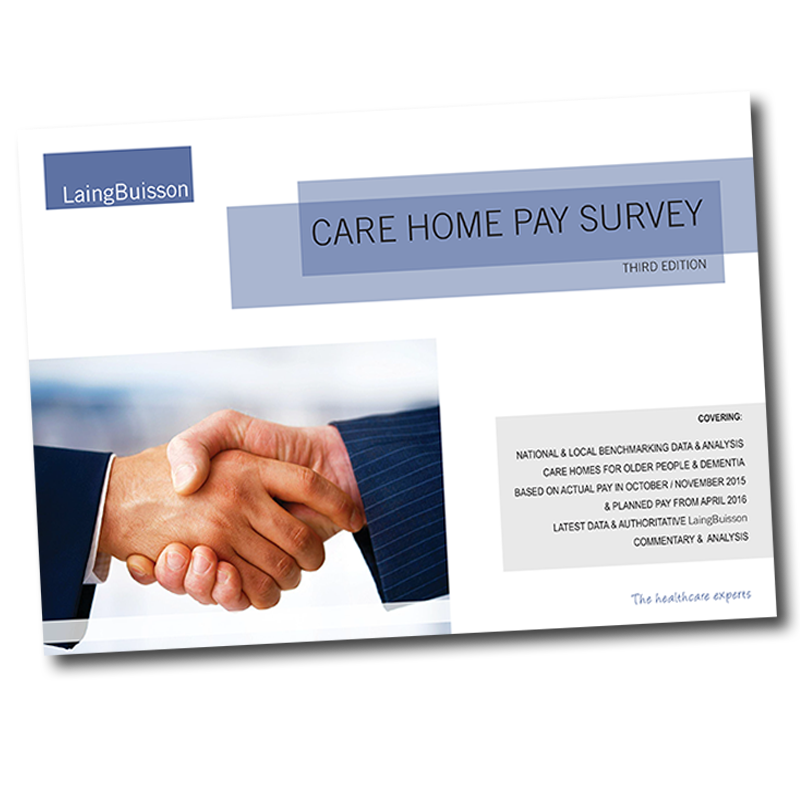 Built upon results of the latest LaingBuisson care home survey covering staffing levels and pay rates (carried out at the end of 2017), this update provides users with a definitive set of mid-financial year costs (for 2017/18) and, for the first time in this new edition, projections for the next financial year (2018/19) based on the known National Living Wage uprating for April 2018 and projections of relevant national index series for other costs.